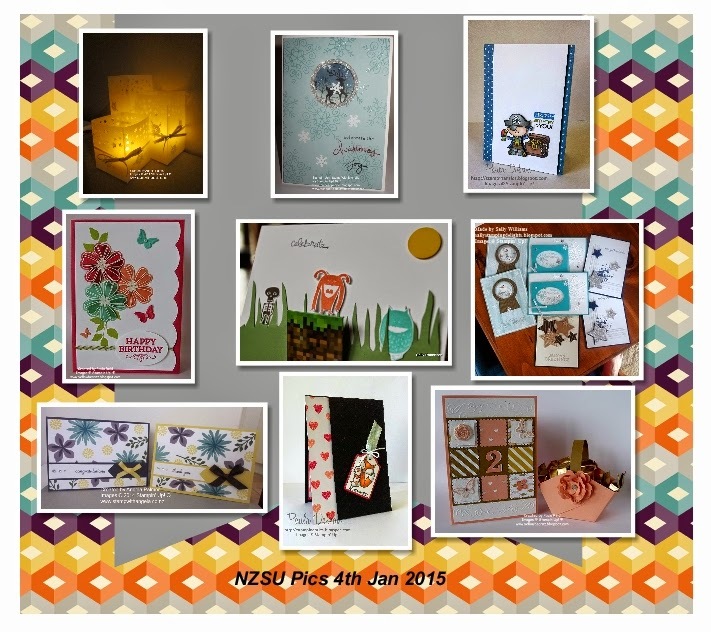 Wow what a busy time you have all had, so many great creations posted this week, everyone has been inspired by the fabulous new products. 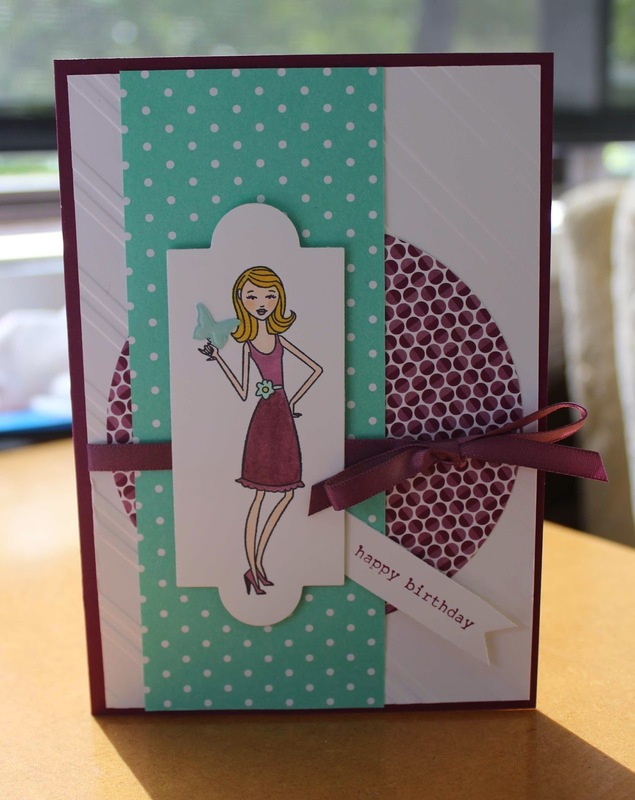 If you haven't already make sure you check out the Creative Inkers Sale-A-Bration blog hop HERE. We are still in Melbourne, Brian has been enjoying the Australian Open Tennis this weekend. 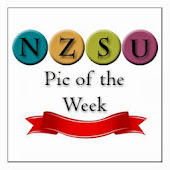 We'll head back to my sister's in Pakenham tomorrow and leave for NZ on Thursday. I'm looking forward to getting back into my craft room. Enjoy your week and Happy Stamping. I hope you've all had a good week and enjoyed some stamping. 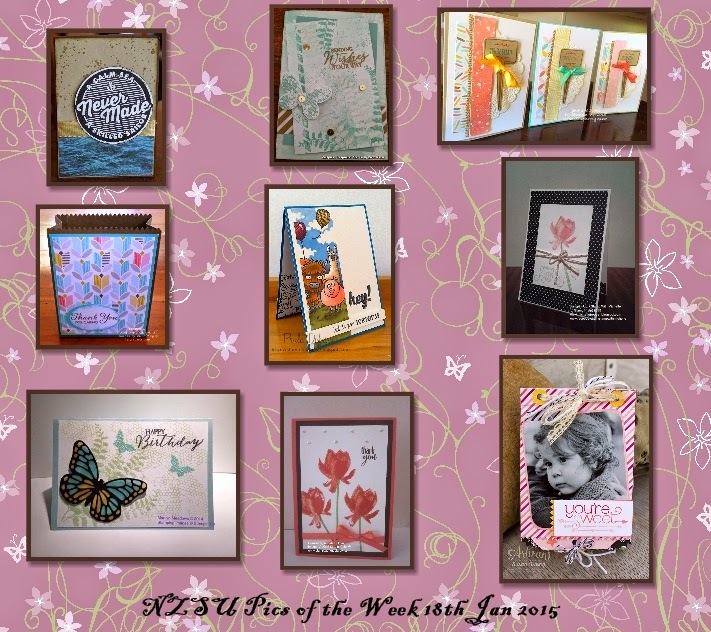 Just about all of the "Pics" this week are using the fabulous new products we have available from "Stampin' Up" Wonderful work Ladies, it's great to see so many gorgeous creations. Some of you may have been to AP & I show in Wellington this weekend and visited Paula Dobson and Vicki at their stand, I hope you had a very productive weekend Ladies. 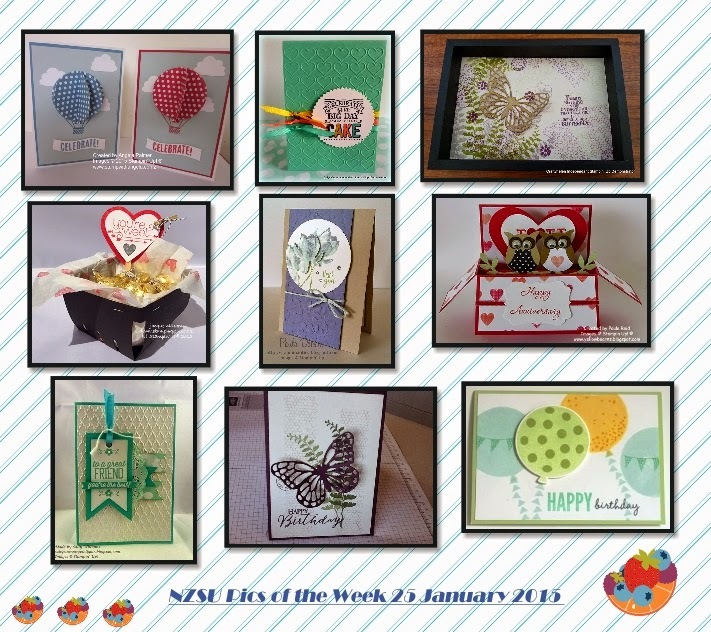 An exciting week for Stampin' Up demonstrators and customers, it's always a fabulous way to start the stamping year; Sale-A-Bration and the new "Occasions" Catalogue. 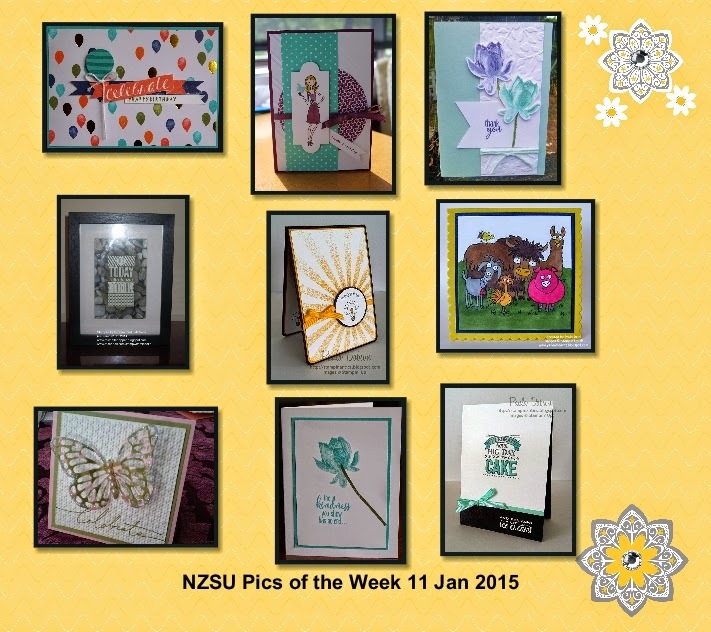 Both these promotions have surpassed themselves again this year, I don't know how Stampin' Up keep doing it! I'm in Melbourne for the next three weeks, it is my sister's 60th Birthday today and although she is in hospital having just has a hip replacement we are heading up to the hospital shortly to give her a little party; her husband my nieces and nephews and great niece as well as her dear friend who also traveled over from NZ, will all be dancing attendance around her bedside this afternoon. Have a fantastic inky week. I hope you are all enjoying the holidays and the great weather. We have had a busy time with the last of our visitors leaving this Tuesday. We've had a wonderful time with family, especially as our youngest grandson and his dad were here from Christchurch for a week. Hopefully now I will have time this week to place an order and get some of the new exciting products.